Fall River, MA – Steward Health Care and Saint Anne’s Hospital welcome internationally renowned surgical oncologist Claudius Conrad, MD, PhD, FACS. Dr. Conrad, who brings highly specialized care for patients with diseases and cancers of the liver and pancreas, is the chief of general surgery and surgical oncology and the director of hepato-pancreato-biliary surgery at St. Elizabeth’s Medical Center in Brighton, MA. Prior to joining the Steward Medical Group, he was a surgical oncologist at M.D. Anderson Cancer Center in Houston, TX. Based at St. Elizabeth’s Medical Center, Dr. Conrad also works collaboratively with colleagues throughout Steward Health Care’s New England hospitals, including Saint Anne’s. Locally, he maintains an office at Hawthorn Medical Associates in Dartmouth. As a hepato-pancreato-biliary surgeon, Dr. Conrad treats conditions of the liver and pancreas, as well as diseases and cancers of the gallbladder, bile ducts, duodenum, and spleen. 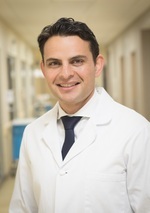 He is an international pioneering expert in minimally invasive surgery, using both laparoscopic and robotic-assisted techniques in treating these conditions. Liver and pancreatic cancers affect thousands of people in the United States annually. This year, the American Cancer Society estimates that more than 42,000 people will be diagnosed with liver and other cancers that start in the bile duct. Another 56,770 are estimated to be diagnosed with pancreatic cancer. Dr. Conrad also is a classically trained and accomplished concert pianist and co-founded the field of clinical research on the science of music in medicine. Dr. Conrad is accepting new patients in Dartmouth and Boston. For appointments or referrals, please call his office in Dartmouth at 508-689-3783, or at St. Elizabeth’s Medical Center, 617-789-2442. Founded by the Dominican Sisters of the Presentation in 1906, Saint Anne’s Hospital in Fall River, Massachusetts, is a full-service, acute care Catholic hospital with 211 beds and satellite locations in Dartmouth, Attleboro, Swansea, New Bedford, and Stoughton, Massachusetts. A member of Steward Health Care, Saint Anne’s provides nationally recognized patient- and family-centered inpatient care and outpatient clinical services to patients from surrounding Massachusetts and Rhode Island communities. Saint Anne’s key services include the Center for Orthopedic Excellence; bariatric surgery; multiple robotic-assisted surgical capabilities, including orthopedic surgery, spine surgery, and general surgery; Saint Anne’s Hospital Regional Cancer Center; two ambulatory surgery centers; the Center for Pain Management; and inpatient geriatric psychiatry services.